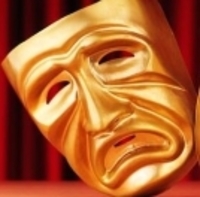 The Kurdish Theater Days, organized by the Peoples Democratic Party (HDP) Adana Provincial Organization, has been banned by the Governorship of Adana because of "threatening public security." The event was planned to take place between February 10 and 13. The plays "Tartuffe" by the Amed City Theatre and "Tenê Ez" by the Teatra Jinayanu and "Kozik" from the Tiyatro Mencel were going to be staged. Press statements regarding the ban have been simultaneously made in Adana, İstanbul, Diyarbakır and Van. Stage actor Özcan Ateş from the Amed City Theatre said in the press statement, "We were going to stage Tartuffe by Moliere at the Yaşar Kemal Theater in Adana. We have to make a press statement although we should be on the stage now." "[This has been done] in Adana, where thousands of Kurds live. Adana Governorship has prevented our plays from being staged on the ground of 'taking measures to ensure serenity and security, immunity of individuals and public well-being.' Are we surprised? Of course not." Ateş further said, "A covered censorship is being applied on the Kurdish theater. There is a negative attitude against not just the Kurdish theater, but producers of all kinds of alternative art." "We are in a period that even those who define themselves as dissidents are playing dead. CHP's (Republican People's Party, the main opposition) municipalities do not let us play in their halls. They cannot say 'it is banned' but they have never-ending excuses" the stage actor added.